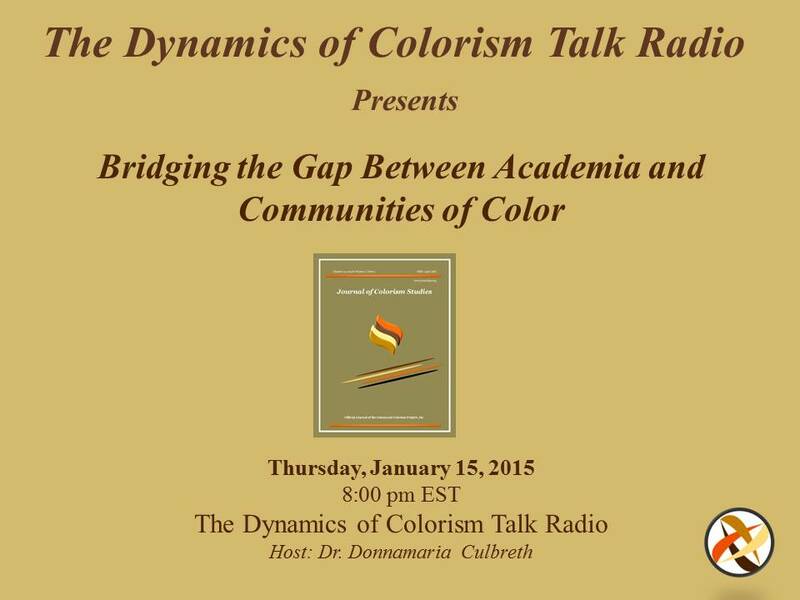 The Dynamics of Colorism Talk Radio | The Intraracial Colorism Project, Inc.
Official talk radio of The Intraracial Colorism Project, inc.
Join Dr. Culbreth and Dr. Jung-Kim for a discussion on Addressing Racism on College Campuses. 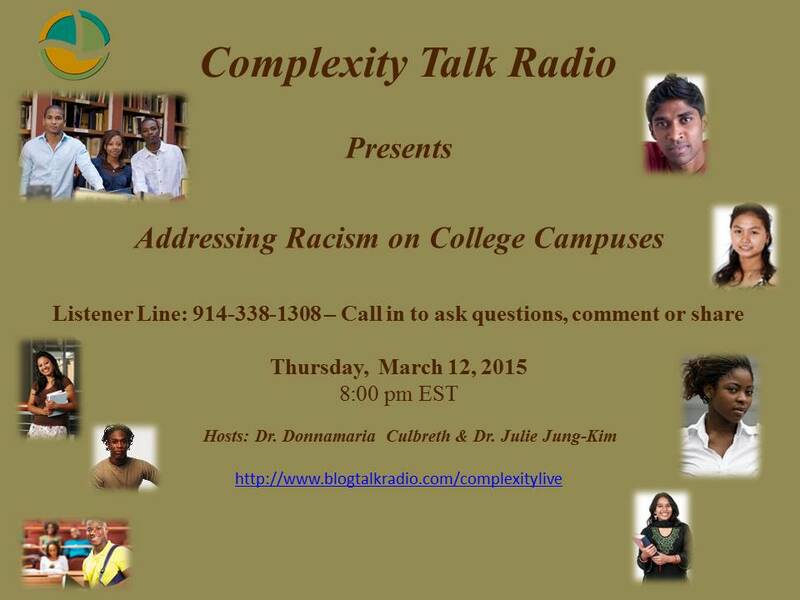 We are interested in speaking with girls/women of color who have formed friendships, etc. 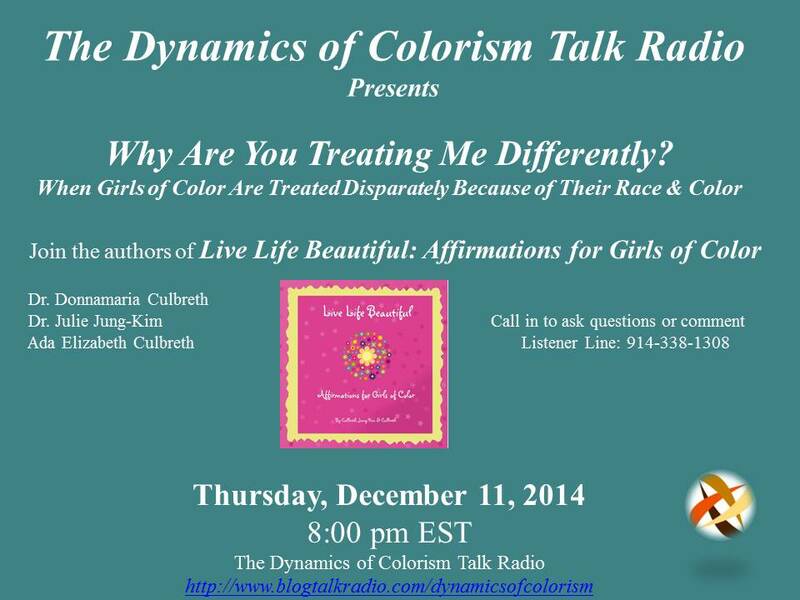 with other girls/women of color who possess either a lighter or darker skin color. 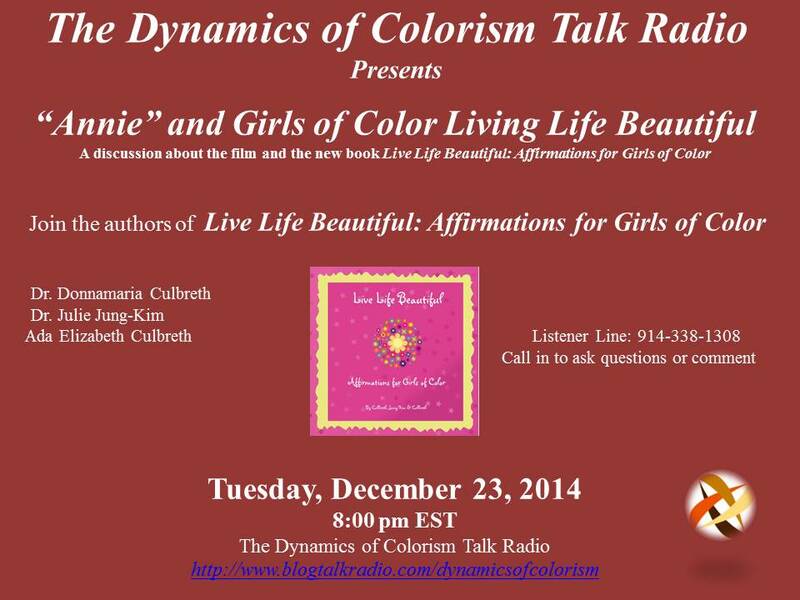 We are hosting a show on the Dynamics of Colorism Talk Radio on Thursday, January 22, 2015 at 8pm EST on the topic and would like to show the world that girls/women of color can and do form bonds/friendships with other girls/women of color who may possess either lighter or darker skin. The purpose of the show is to defy the negativity being portrayed by the media that girls/women of color continue to fight, dislike, and treat each other disparately because of skin color (lighter or darker skin). 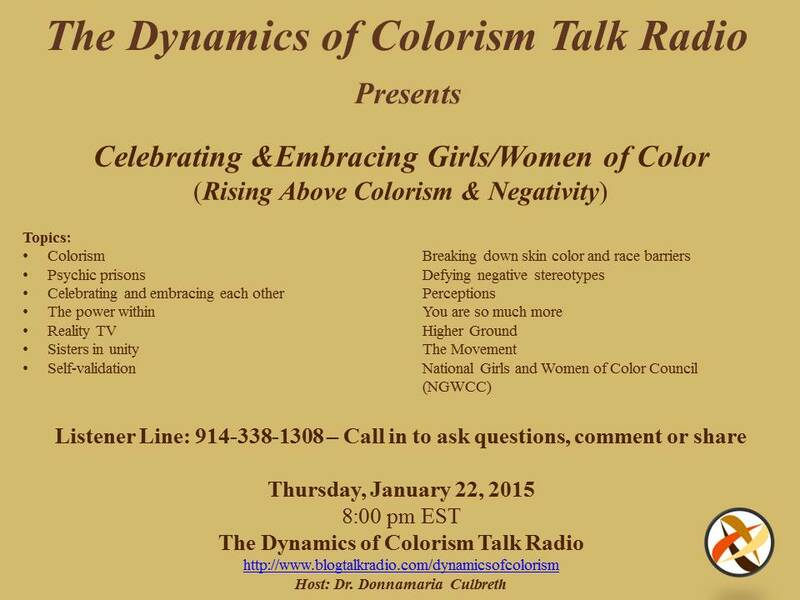 If you or someone than you know meet the guest criteria (either light, medium, or dark skinned and is friends with another girl/woman of color with skin color that is lighter/darker), please ask them to contact us at talkradio@colorismproject.com. We would like to speak with them about being a guest on the show. If they cannot be guests, they can submit their story to us via the above e-mail address and we will read and discuss live on the air. 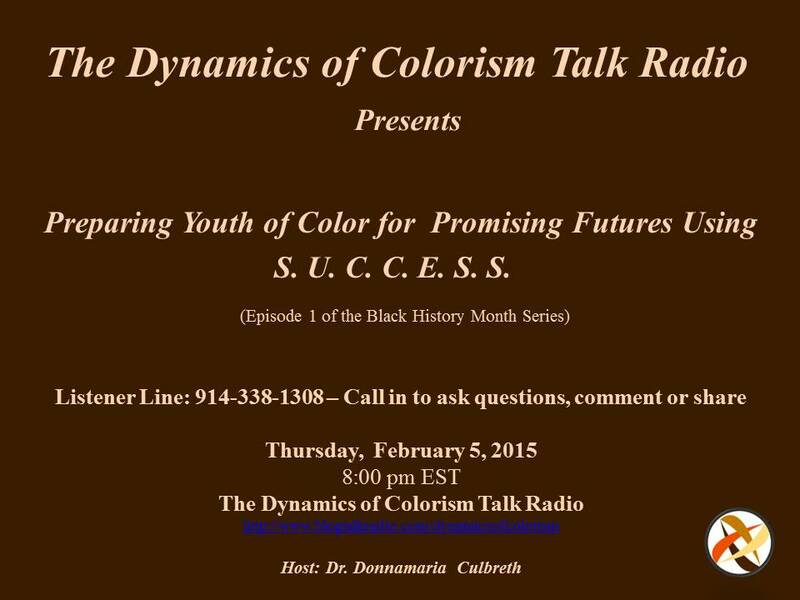 The show is going to be the marker for a positive movement focusing on relationship building for girls/women of color. 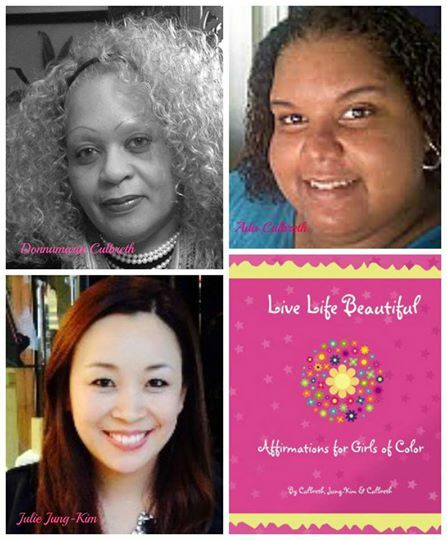 As many of you know, our mission and goal is to bring together women of color from all walks of life in unity. 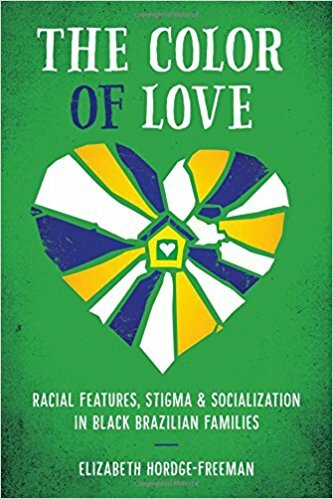 Our focus is on girls/women of color celebrating and embracing each other, setting the record straight for those who continue to send the message that girls/women of color constantly fight, argue, treat each other disparately, are jealous of each other, and participate in colorism acts on a regular basis. If we do not take a stand, we will continue to see reality television shows, documentaries, magazines, etc. 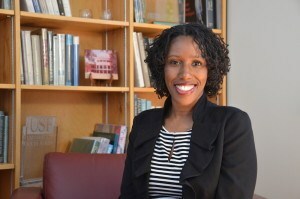 displaying women of color in a negative light and at odds with each other. We are so much more than we are portrayed as being and in 2015, we intend to make sure that the world is enlightened as we move to embrace and celebrate each other in all that we do. This is a new year and time for movements that are grounded in positivity with a focus on positive ideas, positive relationship building, positive energy, positive thoughts, and positive action. 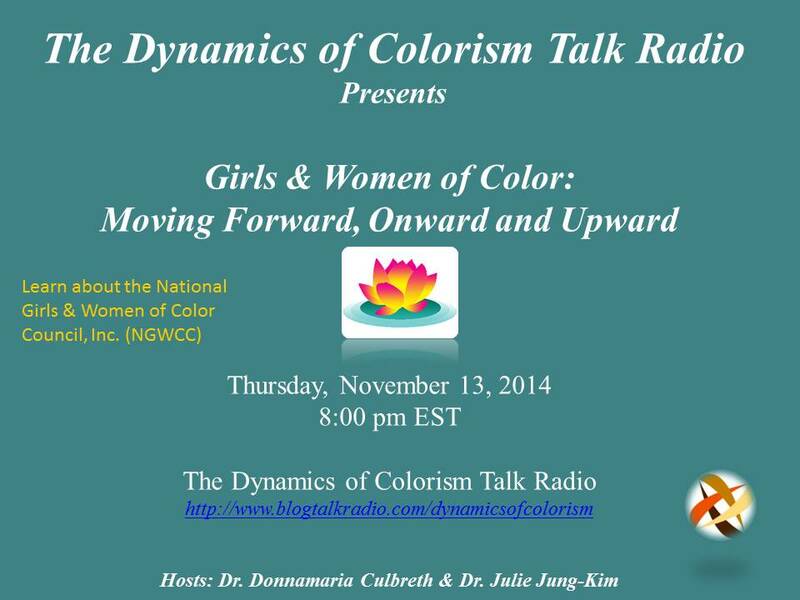 This is the year for women of color to break down the barriers of negativity that we are so often associated with. Thank you for your help and for sharing this posting.